Robin Logie considers a therapy whose mechanism remains unexplained 25 years after it was developed. Now recognised by the National Institute for Health and Clinical Excellence (NICE) and the World Health Organization as a treatment of choice for post-traumatic stress disorder, it appears that eye movement desensitisation and reprocessing (EMDR) has ‘come of age’ as a psychological therapy on a par with cognitive behavioural therapy or psychodynamic psychotherapy. However we still do not know how it works. And should it really be used for the treatment of other disorders as varied as depression, obsessive-compulsive disorder and psychosis? It has been more than a decade since The Psychologist published an article about eye movement desensitisation and reprocessing (EMDR). F. Shapiro and Maxfield’s (2002) article provoked a lively debate on these pages (e.g. Joseph, 2002), and I hope this article will do the same. However, the arguments will probably be different ones because EMDR has now firmly taken its place as an established treatment for post-traumatic stress disorder (PTSD), particularly since 2005 when it was recognised by the National Institute for Health and Clinical Excellence (NICE) as one of the treatments of choice for PTSD (NICE, 2005). The landscape has changed, and more and more EMDR practitioners no longer reserve this powerful approach for PTSD but offer EMDR as a comprehensive therapy to their clients, wherever there is evidence of traumatic memories or other adverse life events. My aim in this article is to outline some of the evidence that has led the EMDR community to reframe the therapy in this way. EMDR was developed by American clinical psychologist Francine Shapiro in the 1980s (F. Shapiro, 1989). The therapy involves the identification of unprocessed traumatic or other distressing experiences that are continuing to drive an individual’s psychological disturbance. The client is asked to recall the worst aspect of the memory together with the accompanying currently held negative cognitions and associated bodily sensations. Simultaneously they are directed to move their eyes from side to side, or employ some other form of bilateral stimulation (BLS). The effect is to desensitise the client to the distressing memory but, more importantly, to reprocess the memory so that the associated cognitions become more adaptive. A standardised eight-stage protocol is employed that starts with comprehensive history taking and formulation. This is followed by a preparation phase in which the client is provided with the necessary resources to manage the processing of their distressing memories. The ‘assessment’ phase involves ascertaining the client’s target memory, negative cognition, desired positive cognition, bodily sensations and ratings for level of distress and level of belief in their positive cognition. This is followed by the actual processing of the memory using BLS. After this the positive cognition is ‘installed’ and the therapist checks for residual bodily sensations before a final debriefing. After the discovery of the reprocessing function of EMDR, a model was developed to make sense of what is occurring in EMDR. Adaptive information processing (AIP: F. Shapiro, 2007) proposes a model of how new experiences are integrated into already existing memory networks. Normally memories are processed and assimilated using the individual’s past experience and understanding of themselves and the world they live in. However, if the experience is traumatic, the information processing system stores the memory in a ‘frozen’ form without adequately processing it to an adaptive resolution. Traumatic memories fail to become integrated into the individual’s life experience and self-concept. For example, in PTSD, the first disorder for which the effectiveness of EMDR was clearly demonstrated, individuals continue to re-experience the trauma (‘as if it’s happening now’). They are avoidant of anything connected to the trauma and tend to be hyper-aroused. Through ‘dual attention’ (recalling the trauma whilst keeping ‘one foot in the present’ assisted by BLS), EMDR appears to allow the brain to access the dysfunctionally stored experience and stimulate the innate processing system, allowing it to transform the information to an adaptive resolution. When fully processed, the necessary information is assimilated and the memory structures have accommodated to the new information. Although the event and what has been learned can be verbalised, the inappropriate emotions and physical sensations have been discarded and can no longer be felt. Oren and Solomon (2012) show how this may be consistent with recent neurobiological theories of reconsolidation of memory. They suggest that the mechanism involved in EMDR may differ from that in exposure therapies, where extinction is proposed to be a major mechanism. While reconsolidation is thought to alter the original memory, extinction processes appear to create a new memory that competes with the old one. Also, whereas traditional cognitive therapies identify an irrational self-belief and then deliberately challenge, restructure and reframe the belief into an adaptive self-belief, in EMDR there are no specific attempts to change or reframe the client’s currently held belief. It is found that the belief spontaneously shifts during subsequent processing, although it is sometimes necessary to employ a ‘cognitive interweave’ when processing becomes stuck. Another possible mechanism may relate to mindfulness. During the desensitisation phase of EMDR, clients are instructed to ‘let whatever happens, happen’ and to ‘just notice’ what is coming up (Shapiro, 2001) which is consistent with principles of mindfulness (Siegel, 2007). Perceived mastery may be another important element contributing to EMDR’s efficacy. Whereas exposure techniques require focused attention on the incident in order to prevent avoidance, EMDR therapy employs only short periods of attention to the traumatic memory. Moreover the client is assisted in moving among the various associations that arise internally during the sets of eye movements, which often leads to an increase in the sense of mastery in being able to go back and forth between experiencing the event and the ‘here and now’. This experience of mastery and efficacy may therefore become encoded as adaptive information available to link into memory networks holding dysfunctionally stored information (Oren & Solomon, 2012). A crucial and frequently posed question is whether BLS is necessary for EMDR to be effective and, if so, what physiological or neurological changes are occurring during EMDR. Some early studies compared using EMDR with and without the use of BLS and a meta-analyses of 13 studies (Davidson & Parker, 2001) concluded that BLS made no difference to its effectiveness. However, Lee and Cuijpers (2013) pointed out some methodological problems with this study and carried out a new review of the literature relating to two groups of studies. The first group comprised 15 clinical trials and compared the effects of EMDR with and without eye movements. The effect size for the additive effect of eye movements in EMDR treatment studies was moderate and significant. The second group comprised 11 laboratory trials that investigated the effects of eye movements while thinking of a distressing memory versus the same procedure without the eye movements in a non-therapy context. For this group the effect size was large and significant with the strongest effect size difference being for vividness measures. So if it is correct that BLS is necessary, what is the mechanism involved? Firstly the rapid eye movement (REM) hypothesis (Stickgold, 2002) proposes that eye movements in EMDR produce a brain state similar to that produced during REM sleep.It is known that REM sleep serves a number of adaptive functions, including memory consolidation. Observing the parallels between REM sleep and EMDR, Stickgold proposed that EMDR reduces trauma-related symptoms by altering emotionally charged autobiographical memories into a more generalised semantic form. A second hypothesis draws upon research suggesting that retrieval of episodic memories is enhanced by increased interhemispheric communication – Propper and Christman (2008) reviewed evidence to support this. However, Gunter and Bodner (2009) found that although vertical eye movements do not enhance hemispheric communication, they did decrease memory emotionality as effectively as horizontal movements. Thirdly, the ‘working memory’ account suggests that eye movements and visual imagery both draw on limited-capacity visuospatial and central executive working memory resources. The competition created by dual tasks will impair imagery, such that images become less emotional and vivid. It has been established that horizontal eye movements tend to tax working memory (e.g. Van den Hout et al., 2011). In support of the working memory account, analogue studies have found that other taxing tasks during recall also reduce vividness and/or emotionality of negative memories (De Jongh et al., 2013). Although speci?c hypotheses relating the orienting response, hemispheric communication and working memory lend themselves to testable predictions (Gunter & Bodner, 2009), it may be that to search for one overarching account of how EMDR works may obscure the possibility that multiple mechanisms are at work. Researchers may therefore need to consider the interrelationships between these proposed treatment mechanisms in order to obtain an integrative understanding of how EMDR works. In addition, the astute reader will realise that these theories (and in particular the working memory model which has the strongest empirical evidence) tend to explain the desensitisation element of EMDR without really explaining the reprocessing function of EMDR as espoused in F. Shapiro’s AIP model described above. It is my opinion that, for example, proponents of the working memory model do not usually take the theory as far as they could. My own understanding is that the distancing effect caused by the degradation of working memory enables the client to ‘stand back’ from the trauma and thereby re-evaluate the trauma and their understanding of it because they can re-experience the trauma whilst not feeling overwhelmed by it. However the literature on the working memory hypothesis seems to be rather sketchy about this with, perhaps, the exception of Maxfield et al. (2008), who hypothesise that ‘links are forged between the associated material and the original memory, thus transforming the way that the traumatic memory is stored in memory networks’ (p.259). Some critics have reasonably disparaged the proponents of EMDR for implementing a treatment before its mechanism of action has been discovered (e.g. Herbert et al., 2000). However, the healing professions have a long history of implementing ef?cacious treatments before their mechanisms of action are understood. For example, aspirin was used effectively for over 70 years before its mechanism was discovered (Vane & Botting, 2003). One might therefore argue that EMDR should be no exception. For a therapy that is directly related to unresolved trauma, PTSD was an obvious starting place for the application of EMDR. Most of the early work and research into EMDR focused on PTSD, and F. Shapiro’s seminal first published paper (F. Shapiro, 1989) demonstrated its efficacy with PTSD. Since that time a considerable body of research evidence has been generated and a meta-analysis of 38 randomised controlled trials (RCTs) established that EMDR and trauma focused cognitive behavioural therapy are the two most effective treatments for adults with this disorder (Bisson et al., 2007). A review of the efficacy of EMDR for children with PTSD showed EMDR and cognitive behavioural therapy (CBT) to be superior to all other treatments, and EMDR was found to be slightly more effective when compared with CBT (Rodenburg et al., 2009). However, a meta-analysis by Greyber et al. (2012) identified just five studies using different selection criteria and concluded that the effectiveness of EMDR as compared with other treatments was equivocal. Even though the research evidence for EMDR with children is still tentative, the World Health Organization has recommended EMDR as one of the treatments of choice for PTSD for children along with adults (World Health Organization, 2013). It is becoming increasingly evident that trauma and other negative life experiences are causal factors in many psychological disorders. For example, depression has been linked to adverse experiences in childhood such as maltreatment (Nanni et al., 2012). The AIP model would therefore suggest that EMDR may be effective for any psychological disorder that can be traced to trauma or adverse life events. Since the original pioneering work on using EMDR with PTSD, protocols have been developed for its use in a wide variety of disorders. For example, there are published RCTs showing the effectiveness of EMDR with survivors of sexual abuse (e.g. Jaberghaderi et al., 2004). In another RCT, EMDR resulted in large and significant reductions of memory-related distress and problem behaviours in boys with conduct problems (Soberman et al., 2002). Many other papers have been published regarding the efficacy of EMDR for other disorders in non-randomised studies including borderline personality disorder (Brown & F. Shapiro, 2006), generalised anxiety disorder (Gauvreau & Bouchard, 2008), bulimia nervosa (Kowal, 2005) and phobia (De Jongh et al., 1999), as well as for pain management (Ray & Zbik, 2001). In order to illustrate the wide range of applications of EMDR, I wish to focus on the use of EMDR with three diverse disorders, namely depression, obsessive compulsive disorder (OCD) and psychosis. DepressionIt is well established that dysfunctional or core beliefs (Beck, 1976) can be traced to early experiences, and it is generally accepted amongst EMDR practitioners that the technique can be extremely effective in treating depression (R. Shapiro, 2009). Rather than working on the core beliefs themselves, the EMDR therapist assists the client to ‘identify the evidence’ for these beliefs and find the earliest ‘touchstone’ memory to use as a target for the EMDR processing (De Jongh et al., 2010). For example, the ‘touchstone event’ that relates to the client’s current belief that they are ‘worthless’ might be a childhood memory of being expected to take responsibility for others in the family, perhaps a parent with alcohol problems. They might remember a specific occasion when their mother said, ‘you are stupid and will never amount to anything’. The touchstone memory would then form the focus for EMDR from which currently negative cognitions, emotions and somatic responses are identified. Whilst there have been published case studies on the treatment of depression as a primary diagnosis with EMDR (e.g. Grey, 2011), there have been no RCTs published in English to date that address this question (Wood & Ricketts, 2013). Unfortunately, the research evidence for the effectiveness of EMDR with depression is currently limited to evidence that levels of depression are reduced when it occurs cormorbidly with other disorders such as PTSD (e.g. Rothbaum et al., 2005). However, an RCT is currently under way. The European Depression and EMDR Network RCT involves patients from six European countries with recurrent depression, randomly assigned to medication alone, EMDR and medication, or CBT and medication. The trial hopes to recruit over 350 participants, but thus far none of this work has been published (Hofmann, 2012). There is also a single-case experimental design with replications in the UK, the Sheffield EMDR and Depression Investigation (SEDI), which aims to ascertain whether clients respond to EMDR not only with an improvement in depressive symptoms but also in social functioning. The study will investigate whether the participants respond in the same ways as PTSD clients to changes such as memory narrative, heart rate variability and skin conductance response, and will elicit information about the patients’ experience of receiving EMDR for depression (Wood & Ricketts, 2013). Whilst the aetiology of OCD is less clearly connected to trauma and life events than in depression, such a connection often exists. For example, Cromer et al. (2006) found that 54 per cent of individuals with OCD had experienced at least one traumatic life event. Individuals with OCD often get stuck in their own cognitive world, and one of the advantages of EMDR is the way in which it integrates the negative cognition with the emotion and felt sense in the body. Unlike with PTSD and depression however, it is usually necessary to combine EMDR with more psycho-education and behavioural approaches such as exposure and response prevention (ERP: Meyer, 1966). Whilst EMDR will always start by processing past unresolved traumas or events, it is often the case that the individual is still experiencing symptoms after past events have been fully processed, and this occurs particularly in the case of OCD. In such situations, for example, an additional application of EMDR, ‘Flashforwards’, uses the standard protocol to address future feared ‘worst case scenarios’, often a hallmark of OCD (Logie & De Jongh, 2014). Böhm and Voderholzer (2010) described three case studies using both EMDR and ERP in the treatment of OCD. Marr (2012) described how OCD was successfully treated with EMDR in four cases where CBT had previously been unsuccessful. The first RCT in this area indicated that EMDR is more effective than medication in the treatment of OCD (Nazari et al., 2011). PsychosisCan EMDR really be effective in the treatment of psychosis? This may seem less surprising when one considers that many individuals with psychosis have a history of trauma (Varese et al., 2012) and between 50 and 98 per cent of adults with a severe mental illness such as psychosis had at least one traumatising experience (Read et al., 2005). In addition, it has already been established that trauma-focused treatments may be an important addition to the treatment of psychosis (Callcott et al., 2004). A study (van den Berg & van der Gaag, 2011) showed that EMDR is effective and safe in the treatment of PTSD in clients with a psychotic disorder. Treatment of PTSD with EMDR had a positive effect on auditory verbal hallucinations, delusions, anxiety symptoms, depression symptoms, and self-esteem. EMDR was utilised with this group of patients without adapting the treatment protocol or delaying treatment by preceding it with stabilising interventions. Currently a multicentre RCT is being conducted to investigate the safety and efficacy of EMDR therapy and prolonged exposure for treating clients with psychosis and comorbid PTSD (De Bont et al., 2013). Although this research evidence looks promising, there is no doubt that there is still a need for considerable more research before EMDR can be recommended for the treatment of psychosis. to a whole range of disorders, together with a growing evidence base, shows that it is rapidly achieving the status of a fully fledged psychotherapy in its own right. Beck, A. (1976). Cognitive therapy and emotional disorders. New York: International Universities Press. Böhm, K. & Voderholzer, U. (2010). 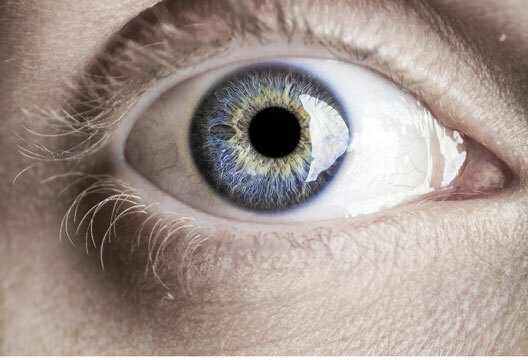 Use of EMDR in the treatment of obsessive-compulsive disorders. Verhaltenstherapie, 20, 175–181. De Jongh, A., ten Broeke, E. & Meijer, S. (2010). Two method approach: A case conceptualization model in the context of EMDR. Journal of EMDR Practice and Research, 4, 12–21. De Jongh, A., ten Broeke, E. & Renssen, M. (1999). Treatment of specific phobias with EMDR. Journal of Anxiety Disorders, 13, 69–85. Gauvreau, P. & Bouchard, S. (2008). Preliminary evidence for the efficacy of EMDR in treating generalized anxiety disorder. Journal of EMDR Practice and Research, 2, 26–40. National Institute for Health and Clinical Excellence. (2005). Post traumatic stress disorder (PTSD). London: Author. Ray, A. & Zbik, A. (2001). Cognitive behavioral therapies and beyond. In C. Tollison, J. Satterhwaite & J. Tollison (Eds.) Practical pain management (3rd edn) (pp.189–208). Philadelphia: Lippincott. World Health Organization (2013). Guidelines for the management of conditions specifically related to stress. Geneva: Author.